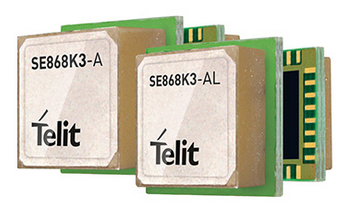 The tiny and mighty SE868K3-AL is the industry’s smallest multi-constellation GNSS patch antenna module. Designed with an additional Low Noise Amplifier (LNA) and Surface Acoustic Wave (SAW) Filter, these modules deliver best-in-class performance. The combination of advanced features and a low-profile design significantly simplifies integration for space constrained applications by eliminating the need for external components. This AL module is a low profile. Click the button below to add the SE868K3-AL low profile GPS Antenna Module to your wish list.